Picking back up from where I left off, Jack left Robert Capron’s Wynyard School and spent one term at Campbell College, not far from his home at Little Lea. His father had moved Warnie to Malvern College and Jack to the nearby Cherbourg School. At first glance in the letters it seems that Jack really doesn’t have much to say about his time at Cherbourg. His is letters home from Cherbourg number, from start to finish, all of four (one letter per page). In fact, on one page (Letters, vol. 1, 17), Hooper’s commentary (even in small print) takes up as much space as the letter itself. From that, one might be tempted to think that Cherbourg didn’t matter that much. 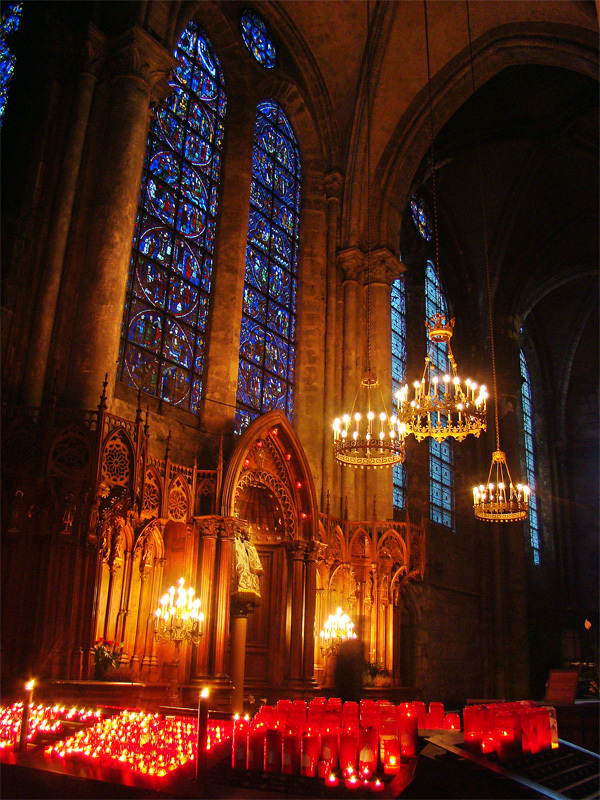 An interior view of Chartres Cathedral. Impressive indeed. And then we turn to Surprised By Joy. There, Lewis calls Cherbourg “Chartres” after, as Hooper notes, “the most glorious cathedral in France” (Letters, vol. 1, 15). In contrast to his few letters, he devotes two entire chapters (27 pages) to Cherbourg in SBJ. That drastic of a discrepancy may indicate several possibilities, but I’ll mention two at the moment. First and most obviously, it probably implies that he was simply too busy and excited with his self described “renaissance” to take the time to write. Second and more seriously, it also likely marks a furtherance of the double life Jack led. He let his father see only one side of that life, while he lived the other with gusto. This is a busy week, but I hope to reread these sections of SBJ and then take a fresh look at the Cherbourg letters. I expect that some interesting comparisons will emerge. I’ll have a new meditation post ready on Sunday and hope to post some more on this topic before next weekend.